As a mother and entrepreneur, Rebecca is thrilled to combine her passion for philanthropy, education and fashion with her vow to help end childhood hunger in this significant partnership with Share Our Strength’s No Kid Hungry program. In this exciting initiative, every pair of jeans purchased triggers a donation to No Kid Hungry connecting a child in need to up to 20 meals; such as school breakfasts and summer meals. Giving back is important to the Rebecca Minkoff brand, and we chose to align ourselves with an organization with a proven strategy to solve an issue that affects 1 out of 5 kids in America: childhood hunger. Last year, in North Carolina, the No Kid Hungry campaign helped 24 high-need schools shift the way they served breakfast so that it became part of the school day. At the end of the school year, these schools were serving 783 more meals per day. That’s 140,000 meals over the course of a school year. And because the schools have committed to keeping new programs in place, this project will have dramatic impact on the students for years to come, with an estimated reach of as many as 700,000 additional meals over five years. 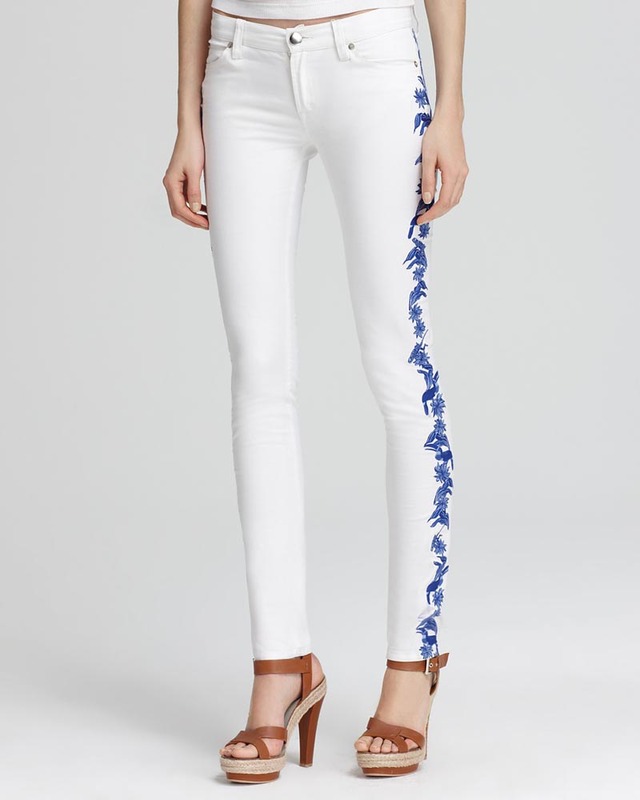 Utilizing top denim mills, Rebecca Minkoff DENIM is made in the heart of downtown Los Angeles with the finest quality, locally-sourced, power stretch fabrics. The denim line is exclusive to www.RebeccaMinkoff.com and Rebecca Minkoff locations, implementing a direct-to-consumer distribution model. Rebecca Minkoff is partnering with Share Our Strength’s No Kid Hungry Campaign and the movement to end childhood hunger in America with the launch of DENIM. With each purchase from the collection, a donation will be triggered to No Kid Hungry, connecting a child in need with up to 20 meals, such as school breakfasts and summer meals. “Sixteen million kids in America struggle with hunger. Instead of thinking about getting A’s, they worry about getting the meals they need to grow and succeed,” says Lindsey Spindle, Chief Communications and Brand Officer at Share Our Strength. 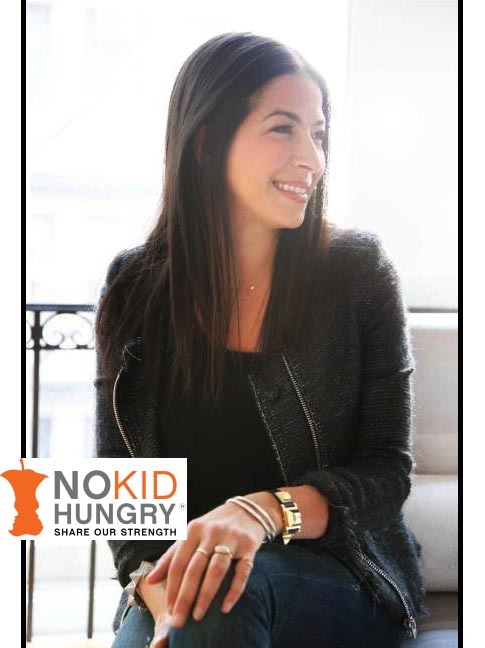 As a mother and entrepreneur, Minkoff combines her passion for education and fashion with her vow to help end childhood hunger in this significant partnership with No Kid Hungry. Her love for denim, shared by her customer base, led her to designing and offering premium designer denim at a competitive price, without compromising on superior quality materials and washes. The designer’s new category consists of five denim styles (a boyfriend, two skinnies, and two shorts) and two t-shirt styles in a Supima® cotton and modal blend, which range in price from $48 to $128. The denim comes in five color ways (medium blue wash, white wash, gray, blue and bandana print) and lends homage to her signature playful and subtly edgy designs. All the styles are named after streets of New York City: Jane Skinny Jean, Bleecker Skinny Jean, Mercer Boyfriend Jean, Perry Short, and Crosby Short. In celebration of the new initiative, Rebecca Minkoff will open a Denim Pop-Up in the brand’s soon-to-be New York flagship at 96 Greene Street from June 26 through July 9. The store hours are 11 a.m. to 7 p.m., Monday through Saturday, and 12 p.m. to 6 p.m. on Sunday. With a vision of building a lifestyle brand for the downtown romantic, San Diego-born designer Rebecca Minkoff founded her company in 2001 after she developed a small apparel line. She spent the next few years working on the small collection until 2005 when Rebecca developed the “Morning After Bag”. The bag became an overnight sensation and Rebecca began solely concentrating on developing additional styles to build out her romantically themed day-to-night handbag collection. After four years of consistent growth in accessories under her belt, Rebecca returned to her original love of apparel design and introduced a ready-to-wear collection in 2009. 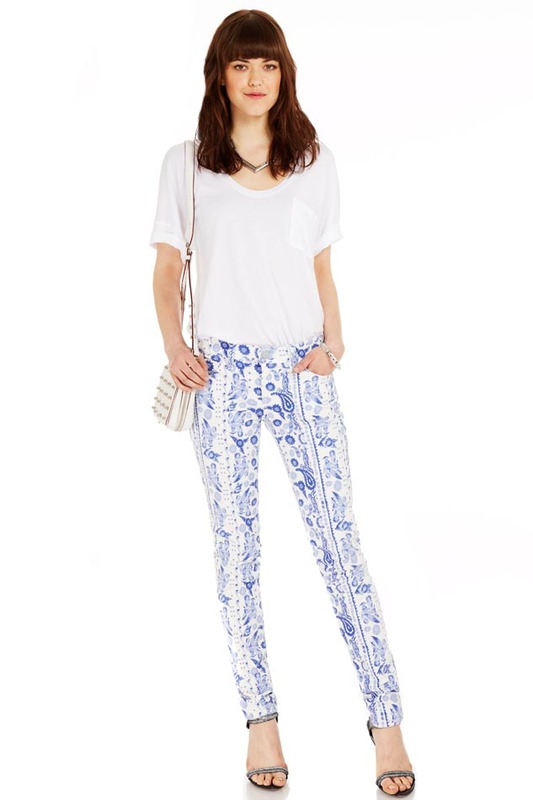 Rebecca Minkoff’s designs are a favorite for modern, trend-setting everyday women and celebrities alike. The No Kid Hungry campaign connects kids in need to effective nutrition programs like school breakfast and summer meals and teaches low-income families to cook healthy, affordable meals through Cooking Matters. This work is accomplished through the No Kid Hungry network, made up of private citizens, public officials, non-profits, business leaders and others providing innovative hunger solutions in their communities. Join us at www. In celebration of the new initiative, Rebecca Minkoff will open a Denim Pop-Up in the brand’s soon-to-be New York flagship at 96 Greene Street from June 27 through July 9. The store hours are 11 a.m. to 7 p.m., Monday through Saturday, and 12 p.m. to 6 p.m. on Sunday.